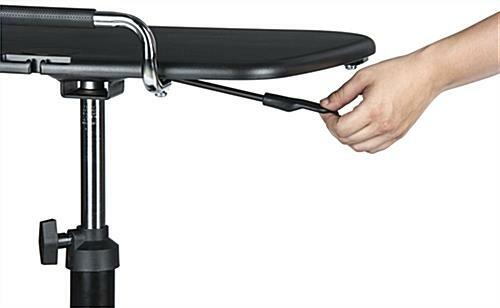 This adjustable mobile laptop stand is designed for easily hold a laptop, notebook computer, or tablet. 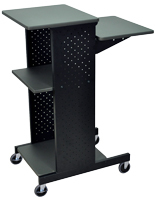 The versatile office workstation is made of durable black polypropylene with a sturdy ABS plastic gray finish top. 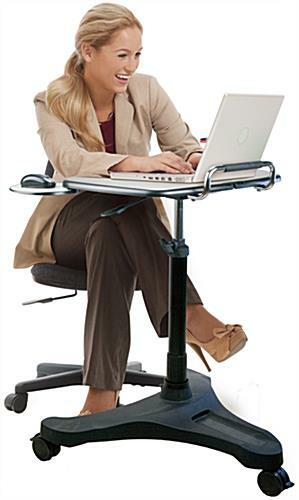 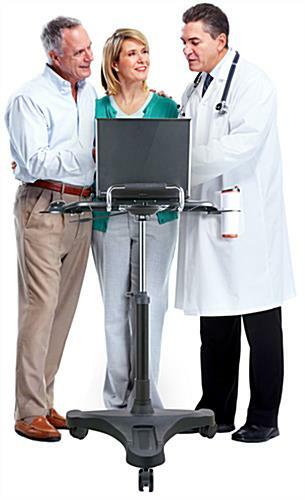 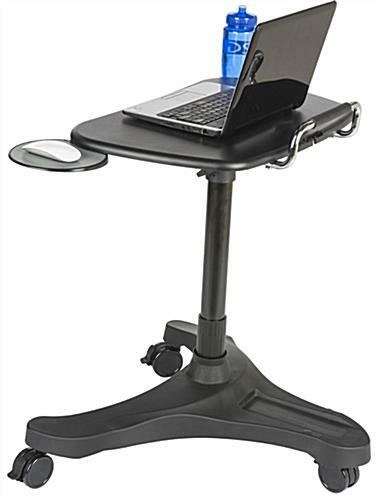 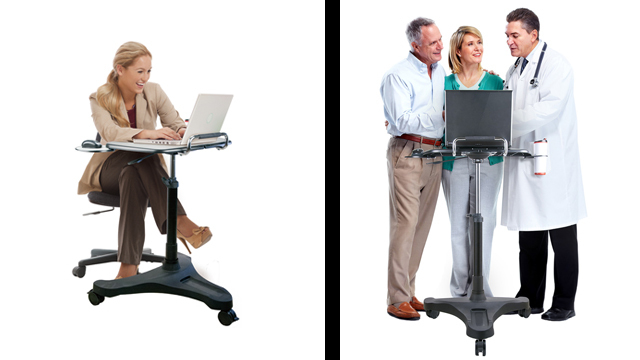 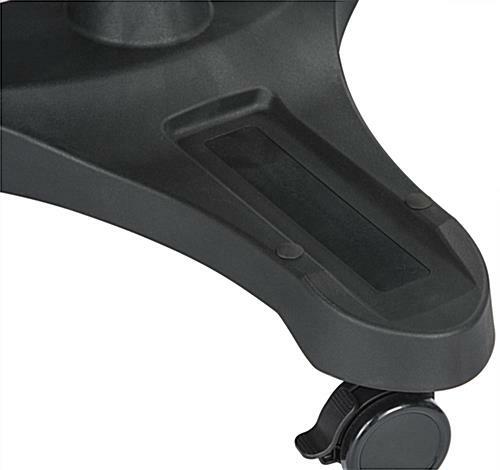 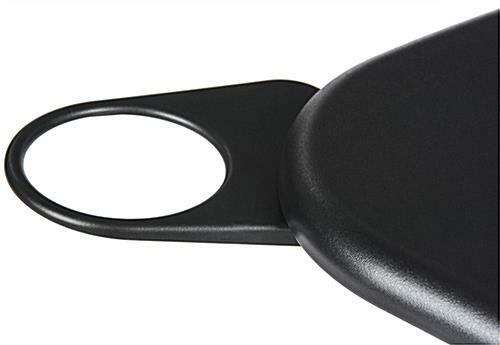 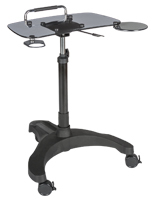 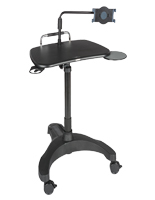 The user-friendly mobile laptop stand features a lift lever that easily changes the fixture between 30" and 40" high. 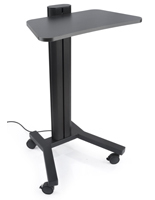 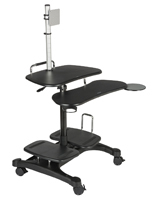 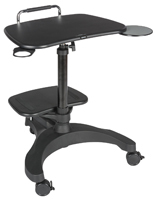 This sit/stand computer desk makes an ideal temporary workstation or presentation accessory in office, commercial, and trade show environments. 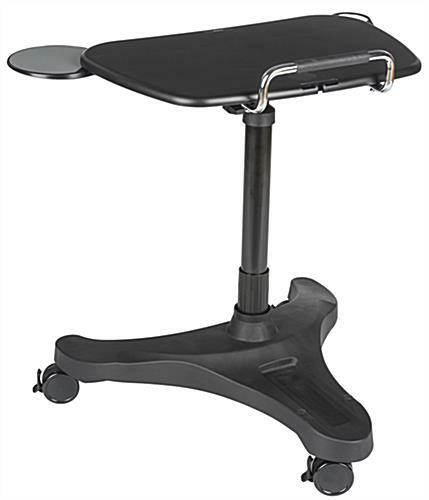 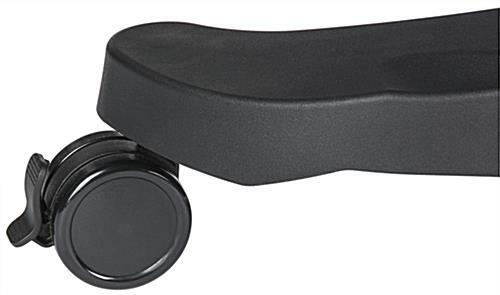 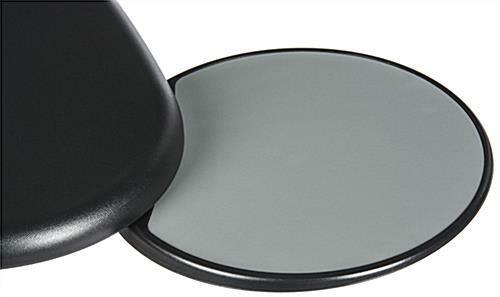 The black and gray plastic heavy duty mobile laptop stand has a sturdy base with three lockable caster wheels for stability. 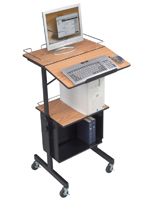 This height adjusting computer or presentation desk is an economical alternative to traditional office workstations. 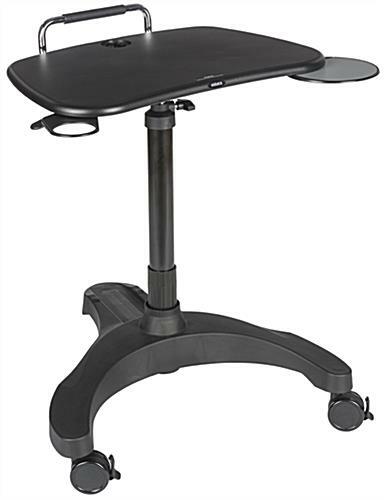 24.6" x 9.4" x 24.8"